Cut the cake is an introductory passing and catching activity. 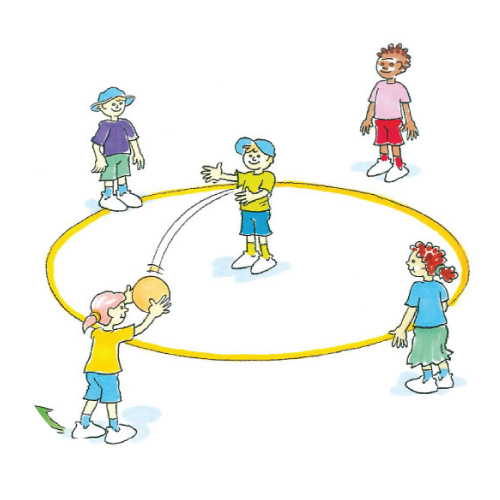 Form groups of 4 to 5. A leader stands in front of each group 3 metres away. The leader throws to each player in the group. Once each player has received the ball, the first player in line runs out to take the leader’s place. The previous leader then moves to the end of the line and the activity continues. What can you do to encourage your teammates? How can you make your passes quicker?